New stats from DHI Group, say the percentage of jobs waiting to be filled is now at an eight year high. 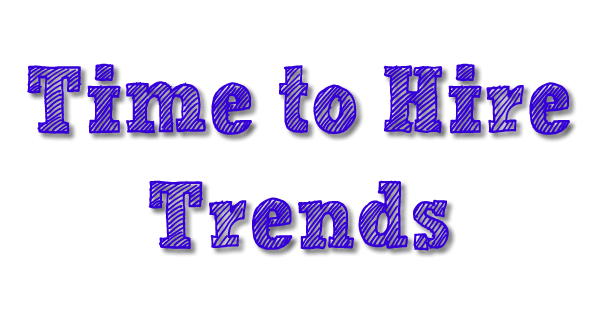 Healthcare and Finance jobs are the two hardest industries to fill according to recent data complied by their Hiring Indicators division. Financial Services take an average of 46.3 days to fill. 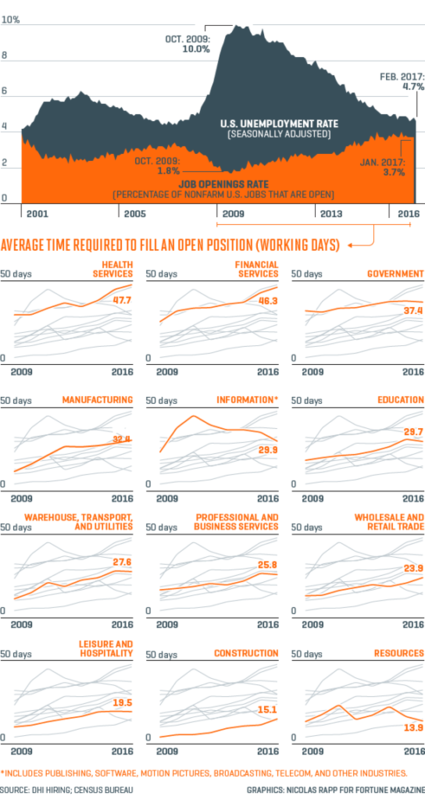 Overall, DHI data shows that the time it takes to fill open positions has been on the rise in most sectors, suggesting increased competition for top-flight workers. And if you recruit in places like Maine where the unemployment rate is now at 3% you certainly know why.